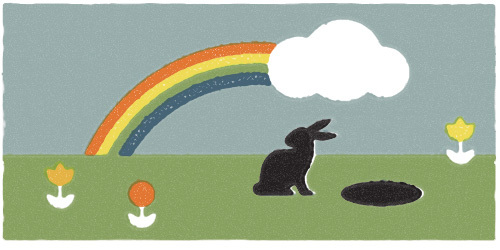 While working on a larger illustration for a website project, I particularly enjoyed drawing these two little fish. 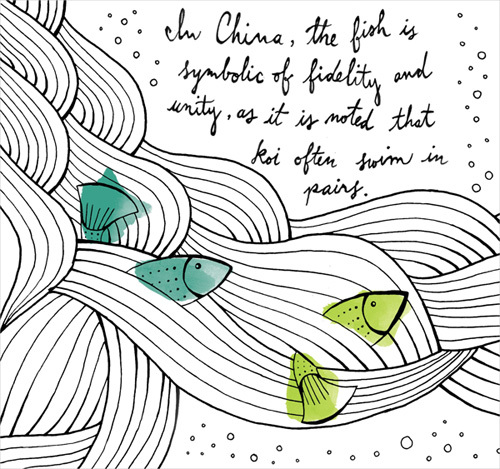 In researching the project, animal symbolism played a heavy role and I thought this thought fit nicely: In China, the fish is symbolic of fidelity and unity, as it is noted that koi often swim in pairs. The fish below aren’t koi – they look more like salmon-trout-koi hybrids that are swimming up a noodle river – but they sure look happy. Late in 2011 my friend Mark and I created the Goodie Monster, a vending machine that lives in Portland, Oregon. Placed in a Chinatown creative office building, he serves healthy snacks to building tenants and passerby’s. However, right outside the entrance to the Goldsmith building is the Church of Elvis. How was a fur-clad vending machine supposed to compete with such a spectacle? 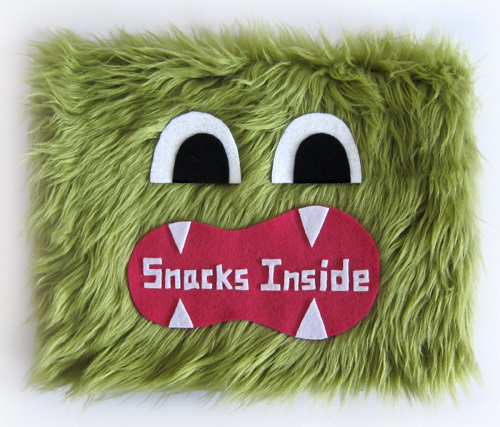 With a fuzzy come hither sign that lets people know there are tasty snacks waiting right inside. Come and get your Justin’s Nut Butters, people, and find your way using this fuzzy face to guide you. That's right - snacks are waiting for you inside! Just hop right in.